Summer is almost upon us, which can only mean one thing. It’s time to get the summer clothes ready. Having a small child always poses a big problem as the weather starts to get warmer, his lovely summer clothing from the year before is now too small to wear. 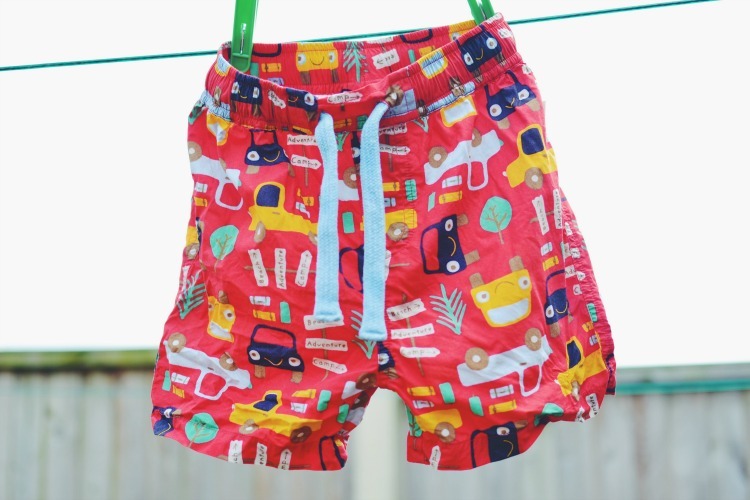 A few weeks ago we had an unexpected heat wave which we weren’t prepared for so we dashed to our local shops to buy some emergency shorts, which are never what you would like your child to wear. So when we were offered some gorgeous summer shorts for M from Frugi we just couldn’t wait to get him out and about in them. 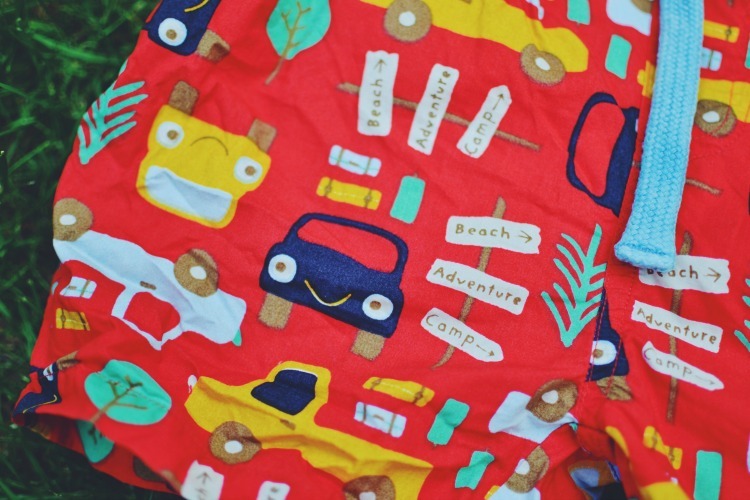 We adore bright colours on Monkey and his Frugi Little Beach Shorts certainly do not disappoint. 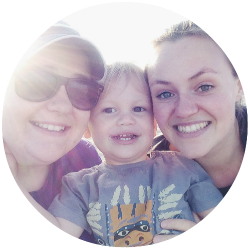 We immediately fell in love with the gorgeous vehicle pattern on them and we knew M would absolutely love them. The quality of the fabric is excellent, as always. I have washed these shorts 5-6 times already and I haven’t noticed the colour fade at all, even when I’ve put them out to dry on the line. Some clothes tend to fade in the sunshine, but they are brighter than ever. The fit is also very good, although I would say they come up a little big but with children’s clothing I never see that as an issue. I just think of the extra wear he will get out of them. We bough ours in size 2-3 which fits Monkey quite well, they are a little loose around the waist but we just pull the cord in which fixed that issue in seconds. The legs are quite long, which is excellent. Monkey is very tall for his age and we struggle to find clothes which fit him around his little waist but also his long legs. Some of his other shorts are very ‘Short, Shorts’ but the Little Beach Shorts fit him perfectly in the legs. They are also great for swimming, there is netting inside which isn’t too tight around M’s legs. We have found that some netting tends to stick to their little legs and become restrictive but M seems to move freely in the water with them on. 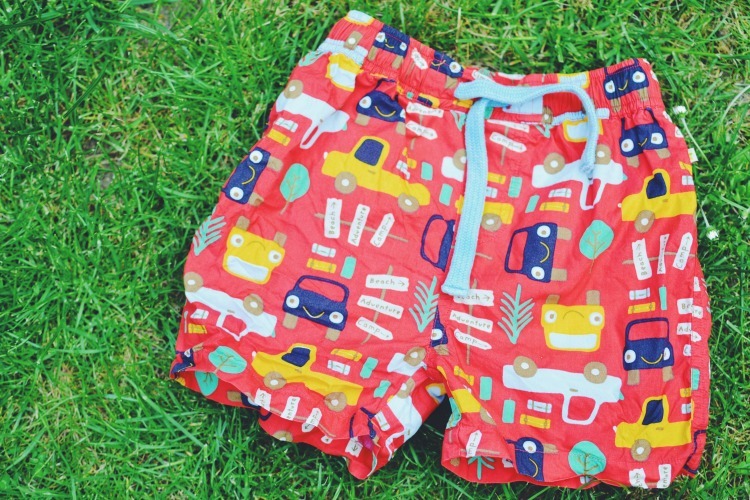 The Frugi, Little Beach Shorts retail at £18, which I think is quite reasonable for a decent pair of summer shorts that will get a lot of wear. They are perfect for trips to the beach, swimming or just to wear outside in the sunshine. I would defiantly recommend them for your little ones. 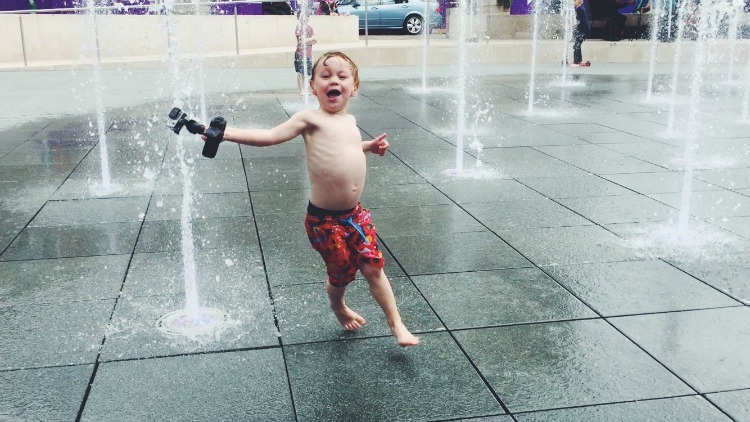 We always have his shorts ready to go, you just never know when you’re going to find a big fountain to run through. 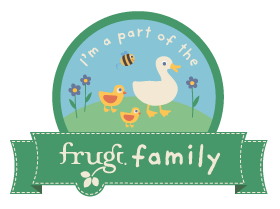 We are part of the Frugi Family, to see another review of the fab summer Frugi range, click the image below. We received these shorts for the purpose of this review. All views and opinions are our own. They are such cute shorts. I love the photo of him in the fountains! How much is he loving that?! These are super cute!! Love the print – might have to add these to my basket for my 3 year old!! Great fountain photo! !